SikhLens is proud to announce the “Youth” cluster, as part of the Sikh Art and Film Festival, to be held on Saturday November 14 from 10:00 am to 1:00 pm, which will showcase 3 films and 2 books! Starting off the cluster is the book A Lion’s Mane, written by Navjot Kaur. In this beautifully illustrated story, young readers journey to cultures around the world to explore the meaning of the dastaar, or turban of the Sikhs. Allusive words placed within a vibrant red dastaar help promote our connections as global citizens and encourage dialogue around issues of identity and kinship. A Lion's Mane promises to be a staple on the shelves of all young visionaries. The second book to be showcased in this cluster is The Royal Falcon, written by Jessi Kaur. This book depicts eight year old Arjan who suspects his classmate of stealing his special pencil. In a magical moment, Guru Gobind Singh ji’s falcon comes alive to help him. The royal falcon then takes Arjan back to 1705 to witness Guru ji’s court in session. Join Arjan and Khushi, the falcon, in an exciting tale of adventure and friendship. 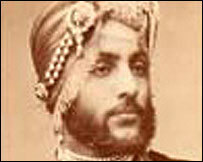 Next, the festival is showing the animated film Maharaja- The Story of Ranjit Singh. The film narrates the story of a great warrior Maharaja Ranjit Singh, a prominent figure in the Sikh history. The film portrays Maharaja Ranjit Singh from childhood to his days of brave soldiery that contributed enormously to Punjab. It depicts Ranjit Singh’s fearless acts as he defeats his enemies and unites the Sikhs by producing the Khalsa rule. 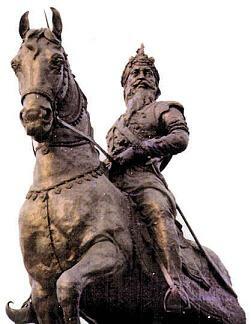 Maharaja shows heroism of the people of Punjab and the glory of Punjab at its peak. Awaiting Your Potential is the next film being showcased at the festival. The film offers a glimpse into the inspiration of three young ones who hope to follow very different career paths and highlights the core virtues of each profession. The Kaur Foundation hopes to inspire confidence and compassion among a new generation of Sikh children in their short and inspirational film, that promises to be energizing no matter what your age! The next film, It’s Like Juggling, features interviews with young Sikhs and provides an insight into the lives of children and young people in the Sikh community and what it is like to be a Sikh living in Scotland. The film was launched in late 2003 surrounded by strong media interest, resulting in news features on TV and radio. SikhLens is proud to announce the “Sikhs from Across the World” cluster, as part of the Sikh Art and Film Festival, to be held on Sunday November 15 from 10:45 am to 1:30 pm, which will showcase three films and a panel discussion. Next on the docket is the world premier of the film The Rebel Queen, directed by Michael Singh. The film reveals the turmoil, murder, mayhem, heartbreak and diplomatic intrigue surrounding an extraordinary woman, Maharani Jinda, the wife of one Maharajah and mother of another. Forcibly separated from her son, escaping from captivity, and finally reunited with him, she sets in motion the wheels of justice that threaten to chase the British out of India. Michael Singh, whose “Prisoner’s Song” has won several awards, brings to life the triumphant and tragic life of one of the most-feared challengers to the mighty British Empire. This cluster will conclude with the film My Mother India, followed by an open Q & A with the filmmakers. This is a passionate film told by the child of a mixed marriage and set against the tumultuous backdrop of modern Indian history. Director Safina Uberoi depicts her own life, it’s uniqueness, her journey from India to Australia, and how the events of 1984 have shaped and changed her life like she could never expect. Safina delves into the depths of her own family and how her mixed background led to a unique perspective on various historical events - from partition in 1947 to the turmoil of 1984. SikhLens will be holding its inaugural Sikh Art and Film Festival 2009 will be held at the historic Egyptian Theater in Hollywood, California from November 13-15th, 2009. SikhLens seeks to provide an outlet for sharing Sikh heritage and culture with the rest of the world by creating awareness for work that is “Sikh-centric,” showcasing our talent, and instilling pride in our community. SikhLens seeks work from artists in a variety of fields, including but not limited to movies, books, music, and art. It creates appropriate avenues for this work to be shared with the rest of the world with the aim of getting more exposure for the presenters; and at the same time creating awareness about Sikhs. This will result in a better understanding of Sikh culture and values in a way that is pure and unbiased. If you have any questions/comments, feel free to contact Bandana Singh, Media Director for the Sikh Arts and Film Festival at sikhlens@gmail.com. SIKHLENS is proud to offer its inaugural—and independent—Sikh Arts & Film Festival. The Festival celebrates Sikh culture and heritage, and will offer a variety of avenues for contributors to share their talent. Get ready for a sumptuous treat that will light up all senses with a diverse assortment of films, books, art, performance pieces, and music that is “Sikh-centric.” To mark the 25th anniversary of the anti-Sikh riots of 1984, we will have a special dedication with rare photographs and independent documentaries on 1984 riots; and lectures and a panel discussion by esteemed speakers from around the world. The festival premieres stirring documentaries, book signings by notable authors, creations from world-renowned artists, and a special event showcasing youth performing music, poetry, rap, and everything else their creative imagination can conjure. We want to prove that “Sikhs’ Got Talent.” You will also get a chance to take a piece of our culture home through a silent auction. So, join us in the heart of Hollywood for an autumn celebration for three days at Tinsel Town's oldest and most magnificent cinema venue, the exquisite Egyptian Theater. The Festival will open its inaugural evening with a ritzy gala on Friday evening, November 13th, 2009 in the gorgeous Pharaoh-themed courtyard outside the 700-seat theater.